Legal Developments In Non-Competition Agreements: 2010, Yer Outta Here! 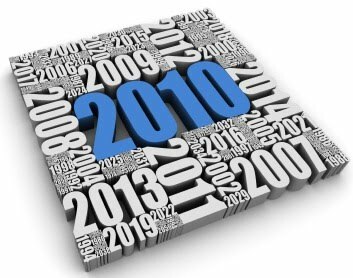 It's time to put a wrap on 2010, a very satisfying year for me personally and professionally. On the personal side, I saw something I was convinced I'd never see in my lifetime: a Stanley Cup brought home to the City of Chicago. My parents saw something they never thought they would see in their lifetime: their only son get married. On the professional side, I've advised many great clients on some very challenging and interesting issues. I won the only trial I had this year and was able to help several clients negotiate their way out of tough situations. Last year at this time, I wrote a post that captured some thoughts and impressions I formed through advising clients, litigating cases and studying other lawsuits and trends. I'd encourage readers to click on the link and read that post, as I think many of the same comments apply. (1) As Jay Shepard writes, the volume of non-compete cases and disputes continues to rise and shows no signs of slowing down. (2) Georgia enacted significant non-compete reform that will take effect for contracts entered into after today. (3) Illinois, my home state, produced a number of significant state and federal court decisions, highlighted by the opinion in Reliable Fire Equipment - discussed at length this month. (4) The number of cases involving the Computer Fraud and Abuse Act in the context of garden-variety employee unfair competition claims has declined significantly. (5) And, I saw the absolute dumbest non-compete agreement I've seen in 13 years of practicing law: a non-solicitation restriction buried in a 52-page employee handbook that itself contained a disclaimer that it was not a contract. Hard to believe. As for 2011, I look forward to the third full year writing this blog. Honestly, I feel like I'm just getting warmed up. I still plan to write 2 to 3 times per week, but I have some ideas to mix up the content a bit. Once per month, I will write a "Spotlight" column, focusing on a state, an industry or a legal topic. It will be a bit more in-depth than my regular columns, kind of like a poor man's bar journal article. I also plan on sharing more of what my blogger colleagues write. I've done that some, but not enough. There are a lot of great law blogs out there, and I plan to highlight and discuss others' posts. Some of the best are listed on my Blog Roll (look to your right...). I would like to hear from you too. I have been blessed to have more than 45,000 visitors to my site this year, and I always look forward to the thoughtful e-mails my readers send to me. If there is a topic or issue on your mind, please feel free to send it along and I will see if I can work it into a column. The end of the year always means that it's time for every scribe, professional and amateur alike, to put together a top 10 list of sorts. Throughout the year, I've offered several comments about what employers need to consider when drafting or enforcing non-compete agreements. It occurred to me, though, that since a fair percentage of my clients are employees, rather than companies, I really ought to put together a list for them. I thought a great deal about what kind of list to draft, and I wanted to do something different and practical. So I put together this list of ten things employees need to provide their attorneys to receive non-compete advice. Copies of all employment contracts - This may seem self-evident, but I emphasize the word all. I have met with many clients who have non-compete obligations expressed in several different agreements, and it's essential that your lawyer have a full understanding of all contracts and terms. Personnel file - In some states, employees have an automatic right to receive their personnel file. If you live in one of these states, you should always request a copy of your file. Cease and desist or "reminder" letters - It is fairly standard now for any departing employee to receive a not-so-friendly reminder from an ex-employer about the terms of a non-compete agreement. If you have received such a letter, don't sweat it. If you haven't, it could help establish that your ex-employer has not been vigilant about protecting its confidential information. Prior job description or resume - In assessing your non-compete, it is imperative that your attorney have a full understanding of what it is you do and how you could potentially harm your ex-employer's business interest. Company proprietary information - If you left and retained company proprietary documents, your lawyer needs to see them. This could avert a potential claim and allow the employee to walk into court with clean (or cleaner) hands. Prior legal opinions - If you've met with other attorneys about your non-compete and received an opinion letter, bring it with you. It is important for your lawyer to understand what advice - good or bad - you have received previously. Stock or equity option agreements and plans - Participation in a company incentive plan can trigger a whole separate set of agreements (usually called award agreements). Those documents may contain restrictions on competing, though they are more likely tied to paying back income received from exercising options. Employee handbook - Particularly in involuntary termination cases, it is important for your attorney to assess whether you might have some severance, progressive discipline or other right that has not been resolved. New employment documents - This could include a number of documents if you're already employed or have a new opportunity on the horizon: an indemnification agreement, employment agreement, offer letter, and new job description. Questions - Yes, you should list out any questions you have for your attorney. Hiring an attorney is often a new experience for many employees. Unfortunately, it is stressful too and you're bound to forget questions you want to ask. No question is dumb, so write them down and bring that list with you. Well, that's it. Thank you, again, to each of my readers, colleagues, and especially my clients for another great year!